Club Penguin Cheats by Mimo777 Club Penguin Cheats by Mimo777: Penguin of the Week: Adc10296! Adc10296 is always busy making new friends and sending out postcards! 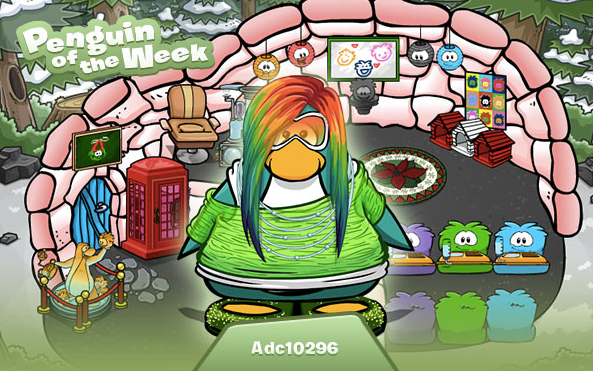 If you’re looking for an EPIC party, swing by this superstar’s iggy as she’s the hostess with the mostess! – check out her outfit too, it rocks!